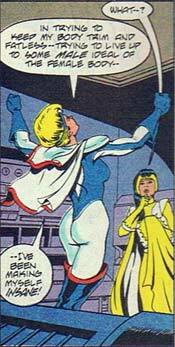 Random Panel: You're right, clearly no SANE person would wear a cape that small! One Response to Random Panel: You're right, clearly no SANE person would wear a cape that small! Clearly she needs to wear the short cape so that all the guys can see her assets.